Update: There is a video now out showcasing some game play. Update: This is now confirmed and is no longer a rumor. Coming in as a tremendous surprise to the Borderlands fan base, rumors are proliferating throughout major gaming news outlets concerning a prequel to the latest Borderlands 2 game. These rumors purport that 2K's Australia studio is mustering the manpower to create such a game to hit a late 2014 release similar to previous Borderlands games. Originally leaked by GamePointsNow.com, details concerning the said "Borderlands 1.5" are incredibly throughout and definitely are not lackluster. Fan service is well met in many areas from character powers and features to certain locations highly desired by fans of Borderlands 2. Synoptically, players will be guided through Handsome Jack's early exploits of the planet Pandora in his goal to retrieve an ancient alien artifact to wreck ultimate control over Pandora. 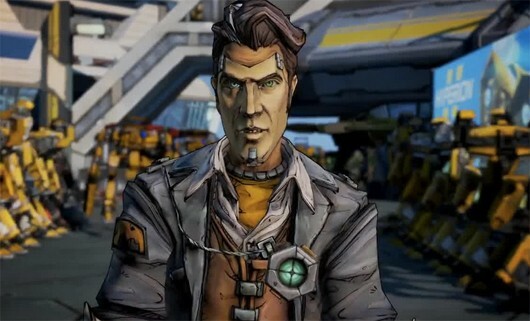 As is tradition in a fully fledged Borderlands game, four playable characters, Handsome Jack's Lieutenants (a fancy label for hierarchically privileged henchmen), will be doing his bidding. Players will be able to assume the control of Athena, the former Atlas Assassin turned rogue, Wilhem, Handsome Jack's faithful associate, Nisha the Lawbringer, and Fragtrap, a combat outfitted version of Claptrap. These faithful servants of Handsome Jack will be wrecking havoc and obtaining loot on the much sought after moon of Pandora, Elpis and the Hyperion Moon Base. New gameplay elements such as a Cryo elemental effect, laser weaponry, and oxygen supplies make a new appearance in the franchise. With much of the game seemingly taking place outside of Pandora's atmosphere, low gravity may also make a debut. According to the leaked information, players will be able to loot "Ox-Kits" to replinish their own oxygen reserves. Enemies, too, rely on these oxygen kits and can actually lose their oxygen supply by exploits achieved by the player giving the player a notable advantage. 2K has not denied the existence of such a project, however they do refuse to make any comment relevant to the matter. With PAX just around the corner, and with 2K being present at this event with Borderlands news, it may be safe to suspect that fans of the series may get much wanted knot tying of the events taking place prior to Borderlands 2. Does this come as a surprise to anyone? I am pretty excited to hear this news, even if its a rumor. Hopefully we hear more about it!